Overindulged over the festive season? 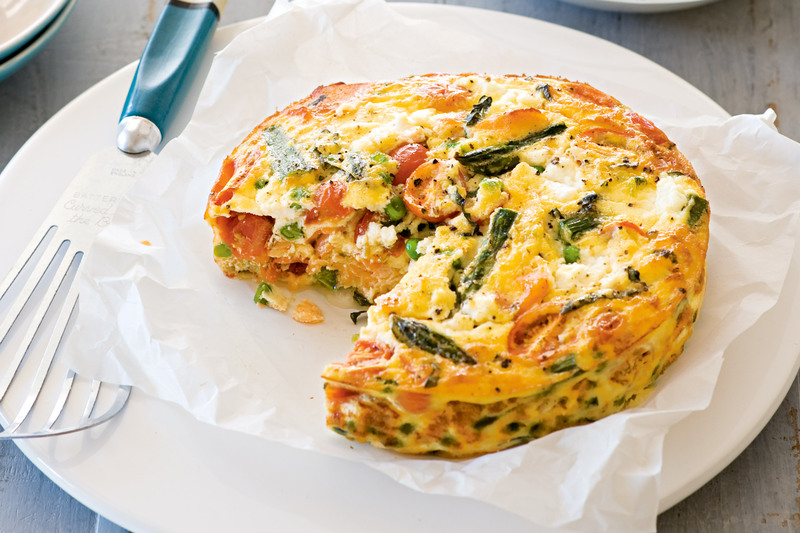 This frittata might be low in fat but it’s not low in taste! Preheat oven to 180°C. Spray the base and side of a round 20cm (base measurement) cake pan with olive oil spray to lightly grease. Line the base and side with non-stick baking paper. Cook the asparagus and peas in a saucepan of boiling water for 1-2 minutes or until bright green and tender crisp. Drain. Whisk together the eggs, egg whites, milk and 2 tablespoons of the ricotta in a large bowl. Add the asparagus, peas, tomato, salmon and basil. Season with pepper and stir to combine. Pour the mixture into the prepared pan. Crumble over remaining ricotta. Bake for 20-25 minutes or until puffed and golden. Cut into wedges and serve with mixed salad leaves, if desired.